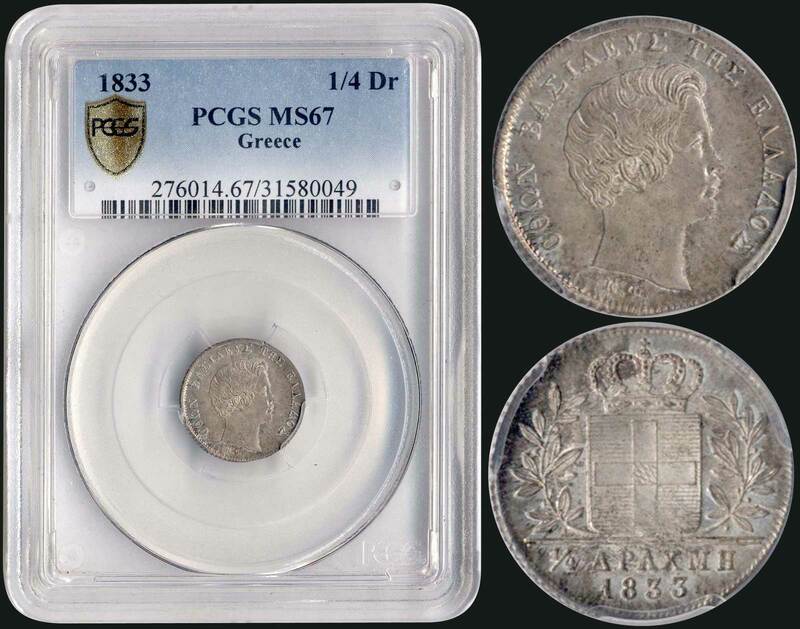 1/4 drx (1833) (Type I) in silver with "ΟΘΩΝ ΒΑΣΙΛΕΥΣ ΤΗΣ ΕΛΛΑΔΟΣ". Inside slab by PCGS "MS 67". Top grade in both companies. (Hellas 88).